Bootstrap Business: Can Businesses Achieve A Zero Waste To Landfill Target? When dealing with and disposing of waste, waste hierarchy systems were introduced in 2011 in order to reduce the amount of waste arriving at landfill sites. These rules suggest that all organisations who deal with waste should dispose of it in an environmentally friendly way. Now, the linear ‘take, make, dispose’ economic model — a system relying on substantial quantities of cheap and easily accessible materials and energy — is reaching its physical limitations and deemed unsustainable. It appears that action is now being taken. By 2020, as part of their Zero Waste Regulations, Scotland has placed a landfill ban on municipal biodegradable waste; in the UK, this is the first ban of its kind, which could see England and Northern Ireland following suit shortly afterwards. Even though the UK has made efforts to cut food waste by 5% before 2016, food waste has actually risen 4.4% between 2012 and 2015. Now, the question still remains, how can the UK achieve a zero waste to landfill target? Reconomy, providers of 8 yard skip hire for commercial waste, explore whether this proposal can ever be achieved. How Is Zero Waste To Landfill Defined? • Cardboard. This is recycled in a paper mill. • Glass. This is melted down and then created into new glass products and containers. • Plastic. This is recycled and made into new packaging. • Food. This waste is sent to be used as compost. Organic waste can be broken down through a process known as anaerobic digestion. This is the breakdown of organic material by micro-organisms when oxygen isn’t present. Such a method sees the methane-rich gas biogas being produced, which can then be used as a fuel and a digestate — a source of nutrients that can be used as a fertiliser. Gasification and incineration are both used as processes to help recover energy from materials that can’t be recycled. To ensure that all waste streams arrive at the correct recycling facility, audit trails need to be established within a business to help monitor where waste goes. If they can’t be tracked, then the zero waste to landfill label cannot be attributed to that organisation’s waste, which is why tracking is so important within this process. One problem with this is that tracking systems can often be costly and time consuming within a business. Also, while using a Northern Mat & Bridge Swamp Mat (link here) can make sorting out rubbish easier in a landfill, it is still an expensive and time-consuming process. This then, casts doubt on whether organisations through the UK, and the world, are able to direct all of their waste streams to recyclable solutions. Zero Waste To Landfill Targets: How Can businesses Benefit? 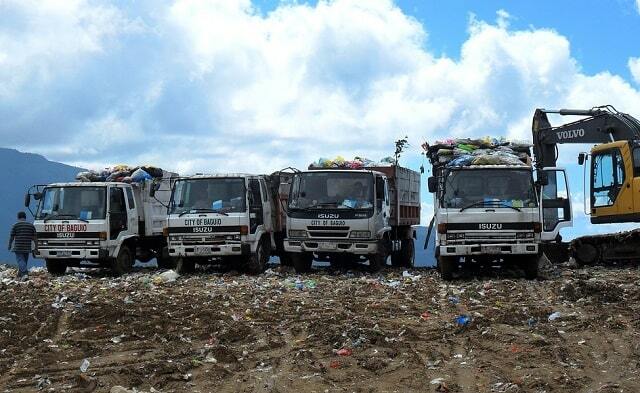 At the standard rate, landfill tax now costs £82.60 per tonne of waste. This drives the incentive for businesses to reduce their waste sent to landfill as not only does it benefit the environment, it also saves them money. Between 2012 and 2014, the total amount of commercial and industrial waste that was produced in the UK was reduced by over 5 million tonnes. This suggests that taxation appears to be working, due to the fact a reduction of 15% was achieved in two years. • Meeting legal requirements. Organisations need to ensure that they are contributing a percentage of their organic and chemical waste away from landfill, if they aren’t, they may not be meeting legal requirements. • Improved environmental performance. By ensuring that waste is recycled, organisations can become responsible for positive change by reducing the rate and speed of climate change. • Competitive edge. If an organisation is recycling more than their main competitors, then that organisation is at an advantage in terms of lower landfill tax rates – and public reputation. What Does Zero Waste To Landfill Actually Mean? For large-scale businesses, it is often the case that this is a philosophy to strive towards as opposed to a reality. The industrial processes (like those performed by Filter Vac http://filtervac.com/product/transformer-oil-solutions/ecoil-stationary-transformer-oil-regeneration-system-model-ecoil-srs/), materials, business models, regulations and public infrastructures do not yet exist for this to be workable, but if these individual aspects were to be improved, then this longer-term ambition may be realised. This is, however, a two-way solution – as businesses need to eliminate their waste that comes from suppliers – whilst making sure that waste isn’t produced during manufacturing and when products and services are passed onto customers and clients. What also needs to be considered is that during incineration, ash is created – which is also waste. Organizations need top tools to accurately measure these processes like those from Durham Instruments http://www.disensors.com/products.aspx?id=20. Clearly, more needs to be done to innovate these processes in the long term, so that zero waste to landfill rates can be achieved in this lifetime. How can circular economies help? The ‘take, make, dispose’ economic model can be counteracted with a moving circular economic policy. Including the creation of energy from more renewable and efficient sources, there are many benefits to a circular economy. However, in the goal to achieving zero waste to landfill figures, a circular economy will mean that waste will not exist. This is because a product’s biological and technical components will be designed with the intention of fitting within a biological and technical materials cycle. Circular economies are beginning to change the way businesses operate, and evidence of this is starting to be seen across the globe. In the Netherlands, for example, around 16% of the new stream of products being introduced to the metal and electrical sectors were items which had either been repaired or reused. Further afield, China has been running mandatory energy saving and pollution reduction programmes nationwide since 2006. These are in place to address issues with what researchers in the country have referred to as ‘low resource efficiency’ and ‘high pollution levels’. I hope you enjoyed this blog post about how businesses can achieve a zero waste to landfill target to improve corporate sustainability. Interested in more about improving corporate sustainability?